Can Percocet Abuse and Addiction Be Treated? Dual Diagnosis Treatment: What to Expect? Percocet addiction is a complex illness that can have a significant impact on many aspects of life. In the last decade, treatment admissions, overdose deaths, and other adverse public health outcomes associated with prescription opioid abuse have increased considerably. 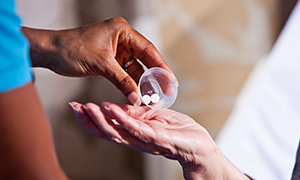 Despite the pervasive nature of Percocet addiction, it can be successfully treated with a number of methods that have demonstrated some efficacy in research trials. Treatments for Percocet addiction include medication-assisted treatments (MATs) and psychosocial interventions, and it is widely recommended that these methods be used in conjunction to be maximally effective. Treatment should always be individualized to meet the needs of the person seeking help and this is especially true for special populations such as adolescents, pregnant women, and individuals suffering from mental health problems. Specialized care is needed in these situations and should be an important consideration when seeking help. Find a Treatment Center Percocet abuse can have hazardous effects on your health and personal life. Don't wait to get help. Find a treatment center today. Seeking help for Percocet addiction can be challenging. The consequences associated with Percocet abuse and addiction vary with each user, as does the definition of what constitutes problematic use. Some may not immediately acknowledge that help is needed until the problem is brought to attention by loved ones, friends, employers, or the legal system (in some cases). Interpersonal conflicts and strained relationships (e.g. complaints by family members and/or disintegrating friendships.). Inability to perform daily tasks or meet obligations at work and home (e.g. neglecting responsibilities such as childcare and household duties, missing work, etc.). Using in hazardous situations that increase the risk of physical harm to self or others (e.g. driving under the influence or using in dangerous places). Recurrent legal problems (e.g. arrests for DUI, public intoxication, or domestic violence). Worsening symptoms of a co-occurring mental illness due to Percocet abuse. Failed attempts to quit or a persistent desire to cut down or stop using. Development of tolerance, such that a higher amount of Percocet is required to have the same effect. Experiencing withdrawal symptoms after stopping and using Percocet or other opioids to avoid those symptoms. Continued use of Percocet after experiencing consequences related to using. Preoccupation with seeking and using Percocet, such that an unreasonable amount of time is spent on doing so at the expense of other activities that were once enjoyable. Craving Percocet when it is not available. Residential treatment is appropriate when other less intensive treatment options have been unsuccessful or when an individual does not have sufficient support or a safe living environment to succeed in outpatient treatment. Residential programs are intended to provide a safe and supportive environment with a highly structured regimen of activities and therapies that address the basic needs of an individual in early recovery. Luxury, private and executive treatment programs generally cost more but also offer greater privacy, a greater variety of therapies and activities and can feature premium amenities that are commonly found in luxury hotels and resorts. The focus remains on wellness and recovery, with added comforts. While it is helpful for those who need this level of care, costs at the inpatient level are generally higher than outpatient options and a stay in a residential facility requires a greater time commitment away from home and work. Outpatient care allows one to continue working and living at home while receiving group and individual therapy at a treatment center and participating in support groups in the community. Medications such as methadone and buprenorphine are used as substitutions for Percocet and other opioids and allow for physical and psychological stabilization so that an individual can function normally and engage in treatment. Naltrexone is another medication option used to block the effects of Percocet and other opioids, making continued use less desirable. However, compliance with naltrexone treatment is very poor and it is found to be effective only in a subset of highly motivated opioid users. Contingency management and similar therapies which involve the use of tangible incentives to engage in treatment. 12-step facilitation therapy which involves self-help group attendance and building a support network. This form of treatment may be used following residential treatment and/or for those in early recovery who require a structured and intensive program to stop using and address aspects of life that have been affected by addiction. This approach allows the flexibility to continue living at home and involves multiple weekly visits to a treatment center for monitoring, medical services, group, and individual counseling. 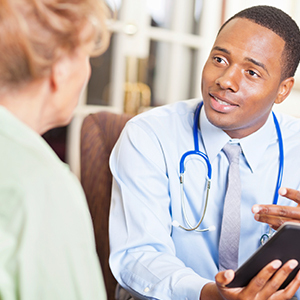 An important consideration when choosing a treatment provider is the availability of physicians, therapists, and other medical and psychological support staff under one roof or working together closely. When entering dual diagnosis treatment one should expect to be treated for both conditions, although an initial focus may be placed on detoxification and management of the Percocet addiction. Research suggests that dual diagnosis treatment is most effective when it is integrated; treatment for all of the co-occurring problems is provided by a coordinated team of professionals in a single setting. The dually diagnosed individual, therefore, experiences a consistent message and array of services throughout treatment. This helps to ensure that all of the problems--not just the addiction--are adequately addressed. Effective treatment for Percocet addiction and co-occurring psychiatric disorders will include the use of medications (opioid substitution, psychiatric medications, or both) and psychosocial therapies. Something that may delay or deter an individual from seeking treatment is that they have not reached "rock bottom" or the problems are not bad enough to get help. Struggling with an addiction does not need to become extremely difficult or unbearable, nor does one need to overdose or suffer a severe consequence in order to get help. If a Percocet addiction is taking a toll on you or a loved one the right time to seek help is now. Contact a treatment support representative at 1-888-993-3112Who Answers? to learn about treatment options and get started on your journey towards recovery. Availability of funds to pay for treatment. Time to participate in a program. The level of social support from family and friends. Availability of a safe environment at home if receiving outpatient care. Use of evidence-based treatments by treatment providers. A solid knowledge base on effective treatments and recommended approaches for this condition exists and treatments can be evaluated based on how closely they correlate with standard recommendations. Success rates associated with treatment approaches and specific providers/programs. Availability of a continuum of care to allow movement along varying levels of treatment intensity according to the needs of the patient. This includes aftercare options (e.g. relapse prevention, sober living homes etc.). Substance Abuse and Mental Health Services Administration. (2009. Integrated Treatment for Co-Occurring Disorders: The Evidence. DHHS Pub. No. SMA-08-4366, Rockville, MD: Center for Mental Health Services, Substance Abuse and Mental Health Services Administration, U.S. Department of Health and Human Services.